The Transportation Safety Board of Canada released results from what it describes as a safety issue investigation concerning the risk of runway incursions at the Lester B. Pearson International Airport in Toronto. The report primarily focused on incidents that occurred on two closely spaced, parallel runways at Toronto Pearson (CYYZ) between June 2012 and November 2017. As a result of its investigation, the Transportation Safety Board (TSB) made four recommendations to improve runway safety at Canada’s busiest airport. The risk of collisions on runways has been on the TSB Watchlist since 2010, particularly as it relates to runway incursions, describing it as a significant concern to all of Canadian aviation. The TSB, however, examined Toronto Pearson circumstances in more detail by looking into 27 similar runway incursions that occurred on the south runway complex of CYYZ. TSB points out these 27 incursions were not the only such incidents at CYYZ during this time period (June 2012 and November 2017), but they posed substantial risk and shared many characteristics. All of the incursions involved aircraft that had landed on the outer runway and, TSB explains, despite receiving instructions from air traffic control and intending to hold short of the inner runway, did not do so. The TSB investigation found that all of the incursions happened on the inner runway, after the flight crews involved had landed on the outer runway and were taxiing on a rapid-exit taxiway between the two runways. 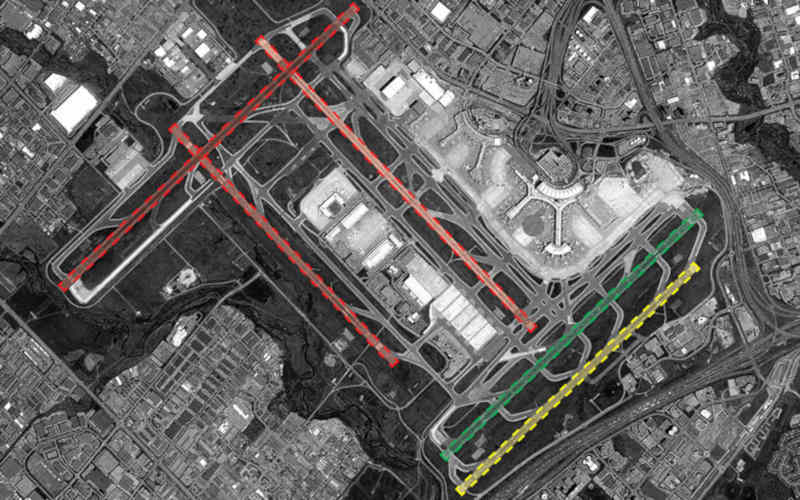 TSB explains several characteristics of the rapid exits in this area, known locally as the South Complex, are different from almost every other major airport in North America: The exits lead directly to the inner parallel runway, the hold lines are located immediately following a 65-degree curve and, most notably, they are farther away from the protected runway than is commonly seen elsewhere. These uncommon features, according to TSB, mean that the hold lines are not where crews are expecting to see them. TSB determined that, although flight crews were aware of the increased risk for runway incursions in the area because they are designated as hot spots on the airport charts, guidance did not bring crews’ attention to specific strategies to mitigate the risk of incursion. Instead, crews followed their standard operating procedures and initiated their post-landing actions immediately after exiting the runway, explains TSB, taking their attention away from other more critical tasks like identifying the hold line. TSB continues to explain that the timing of those tasks distracted the crew at a point when limited time was available to recognize the visual cues requiring them to stop, and contributed to their overlooking those cues. 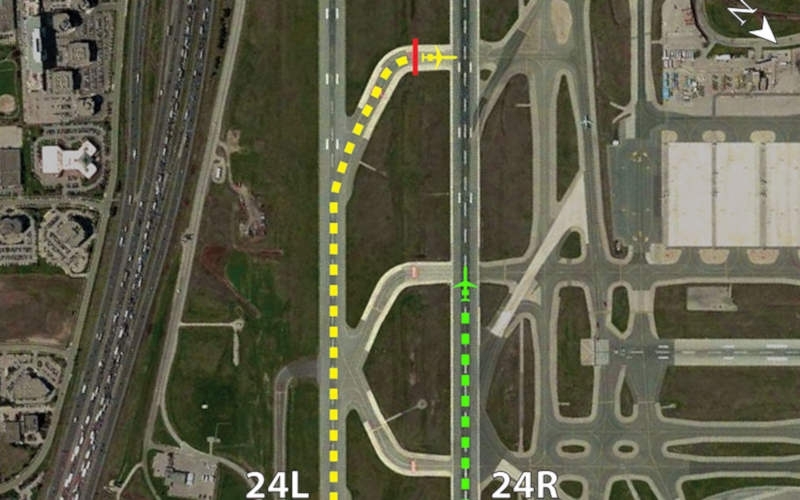 The first of four TSB recommendations to improve Toronto Pearson runway safety is that NAV CANADA amend its phraseology guidance so that safety-critical transmissions are more compelling to flight crews in order for crews to take the safest course of action. The next two recommendations are for Transport Canada and the United States Federal Aviation Administration (FAA) to work with operators to amend standard operating procedures so that crews only commence post-landing checks after a landing aircraft has cleared all active runways. 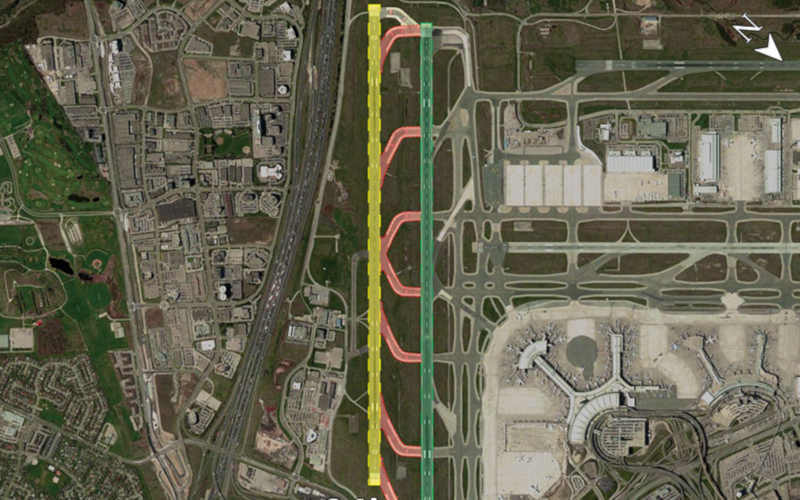 Finally, TSB recommends that the Greater Toronto Airports Authority (GTAA) make physical changes to the taxiway layout at Toronto Pearson’s south complex to address the risk of incursions between the parallel runways. The GTAA continues to explains that since 2013, it has address incidents at Toronto Pearson by working with the air carriers, particularly regional U.S. carriers that experience a higher number of the incidents. In addition to specific enhancements to its runways and taxiways, new lighting systems and mandatory LED backlit signage, the GTAA explains it has provided safety information and educational outreach to these carriers about its operations.